Nirav Modi store on Madison Avenue, New York City. Photo: Sujeet Rajan. NEW YORK – Diamantaire Nirav Modi’s store on Madison Avenue is like a shining new house built by an ambitious braggadocio with new money, a rank outsider in a row of venerable, gilded estates steeped in class and old money. Located a block from Central Park, and less than that from the Indian Consulate in New York, the eponymous store is located in an area which boasts of some of the best-known diamond stores in America, with each having its own elaborate security for letting customers in for a perusal, and buy. Located on the same street or within a block away from Nirav Modi are giants like Graff, De Beers, Buccellati, Kwiat, David Yurman, Hueb – a Brazilian-origin store, and Tiffany’s, on Fifth Avenue, which is adjacent to Trump Tower, home of President Donald Trump. The Nirav Modi store, which opened in 2015, has luxury Swiss watch manufacturer Vacheron Constantin, founded in 1755, and Kwiat, a diamond jewelry design founded in 1907, as its immediate neighbors, sharing wall space with them. Think of some of the top luxury brand names in the world, and it’s more than likely they are all ensconced in the same hallowed neighborhood on Madison Avenue, and within a few blocks of it. Despite the raging controversy over an alleged $1.8 billion scam perpetrated by Nirav Modi through unsecured loans he took from Punjab National Bank, and the subsequent raids, seizures and sealing of most of his homes and businesses in India by law enforcement agencies, his store on Madison Avenue was open on Monday, President’s Day, with a total of three employees at work, including a security guard. Notoriety too has its equal share of publicity as fame on social media nowadays. 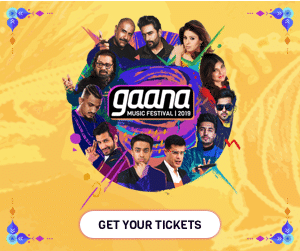 There was no dearth of Indian-origin tourists and residents who, as they walked by, gaped at the store, and took a moment to click a few photos, and selfies. As this writer looked on, an Indian couple first took separate photos of each other posing in front of the store, and then went in for a look at the exquisite collections inside. An Indian-looking man took plenty of photos from across the street. Two Indian students too, as they sauntered by, took some photos, remarked that it’s likely the store would shut down soon. When asked what they thought of the uproar in India, if Nirav Modi would do a Vijay Mallya act, try to evade authorities from prosecuting him in India, they both nodded their heads in the affirmative. “I hope he’s caught,” said one Indian student, adding “he’s (Nirav Modi) probably staying around here somewhere,” pointing vaguely towards Central Park. Close by, an avenue away, are the iconic Plaza and Ritz Carlton hotels, overlooking Central Park. 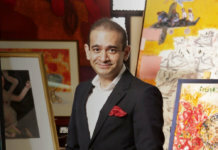 A call earlier in the day by News India Times to both hotels – which according to sources was likely where Modi was staying – evinced the same response: nobody by the name of Nirav Modi was staying there. The woman who picked up the phone at the Plaza was curt and abrupt; the receptionist at the Ritz Carlton was more helpful, juggled the first and last name of the diamantiare to see if it matched the guest registry; even inquired if it’s possible he’s staying with a companion under his or her name. A query for Ami Modi, his wife, didn’t throw up any answers either. The manager at the Nirav Modi store was courteous and polite when asked if the owner had visited recently, responding: “no comments”, which she repeated to other questions directed at her. She, though, took this writer through the store, explained in detail the alluring collections on display, including a 22-carat Lotus collection diamond worth $100,000; a matching bracelet for $20,000. No photos were allowed within the store, but she generously parted with a hard cover brochure of his signature bridal collection. The dismay and nervousness on the manager’s face, and her co-workers’ faces, though, was evident. No doubt they were gobsmacked with the news of the sudden turn of events since last week, as Modi ‘disappeared’, leaving his vast business empire in disarray, to be torn apart by Indian authorities. One can only sympathize with them, and the around 2,000 other employees of Nirav Modi, in India and overseas. It’s one thing to keep the store open for business, quite another to keep working diligently and professionally with the knowledge that their pay check might not be coming this week or the next, if ever. Modi opened his flagship store, at Defence Colony, in New Delhi, in 2014, followed by a store at Kala Ghoda, Mumbai, in 2015. He went on to launch boutiques in New York City and Hong Kong in 2015, followed by another launch in Hong Kong the next year, and has also opened stores in London on Bond Street, MGM Macau, and Los Angeles, since then. Modi, on his part, in a letter to Punjab National Bank, has appealed to disburse money from his current account to pay salaries of his employees. However, it’s unlikely that the bank or the Indian government will entertain his request, at least not in the immediate future. 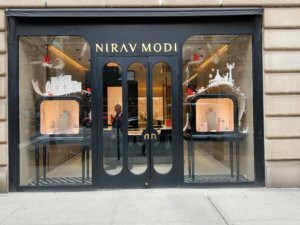 Despite Modi’s attempt to place himself at the top of the heap in the diamond industry business in the US, employees at stores around his on Madison Avenue have a rather dismissive attitude towards him, shrugging him off as a newcomer who has no stature with peers; portray him as a wannabe. “He’s a nobody, but I see he’s been making some news lately,” quipped a manager at Graffs, located across the street, when asked where Modi ranked in terms of the top names in the diamond business industry. “I had never heard of him before he opened this store some years ago; his designs are not very good,” he added. The manager at Graffs opined that his favorite jewelry designer and one who had personally mentored him, however, was an Indian man: Ambaji Shinde, who died in 2003, at the age of 84, in Manhattan. According to an obituary in the Guardian, Shinde’s designs were inspired by the temple sculptures of India, and he made his mark working first with Nanubhai Jewellers in Bombay and then later for the House of Harry Winston, the New York jeweler, whose signature wreath necklace was Shinde’s masterpiece. Shinde also designed coronation jewels for many Indian royals, including the maharajas of Baroda, Porbandar and Dhar, and the Nizam of Hyderabad, once the richest man in the world. Actresses, including, Elizabeth Taylor, Sophia Loren, Julianne Moore, Marica Gay Harden, Halle Berry, Madonna and Mira Sorvino, have worn Shinde’s collections at Oscar ceremonies. In 1999, he designed the necklace worn by Gwyneth Paltrow when she accepted her Academy award. The 45.52-carat blue Hope diamond, reset by Shinde, had earlier been worn by Michelle Pfeiffer. No doubt Modi has been inspired by Shinde, has tried to emulate him in his business strategy, by having some of the top contemporary actresses like Kate Winslett and Taraji P. Henson wear his works, apart from Priyanka Chopra, Aishwarya Rai Bachchan, Katrina Kaif and Deepika Padukone popularizing it in India. Chopra is now trying to sever her contract with him. Henson, wearing Modi’s ‘Luminance’ necklace at the Academy Awards, got a lot of buzz, picking up also the ‘Best Red Carpet Moment of the Year’ award at Town and Country magazine’s first-ever Jewelry Awards. In 2010, when he started his business, Modi was the first Indian jeweler to have been featured on the covers of Christie’s and Sotheby’s catalogues. Staff personnel at Kwiat and De Beers also didn’t think highly of their Indian neighbor’s aspirations, though. “A friend of mine wanted to work there (at Nirav Modi store) last year, but she took up another offer, and probably that’s turned out to be best for her,” said a manager at De Beers, who had heard of the news about Modi’s controversy. “His designs are just collections, doesn’t compare to the timeless elegance and classical pieces of ours, or Graff or Tiffany, or Harry Winston,” he added. Interestingly, though, one of the most prominent pieces on display at De Beers, a house which started in 1888, is a $150,000 necklace called ‘Radiating Lotus.’ The interior of Nirav Modi’s store is adorned with artwork inspired by the lotus flower, and it’s perhaps not a coincidence that De Beers has a work inspired by the same source, an effort maybe to try equal and stub out the competition by their new neighbor. One of Modi’s biggest claim to fame is also his ‘Golconda Lotus’ necklace, featuring a rare 12.29 carat Golconda diamond, pink diamonds and exclusive Ainra cut diamonds, sold at Christie’s Hong Kong auction in November 2010. Kwiat too has an Indian inspired collection, called Ashoka diamond collection. 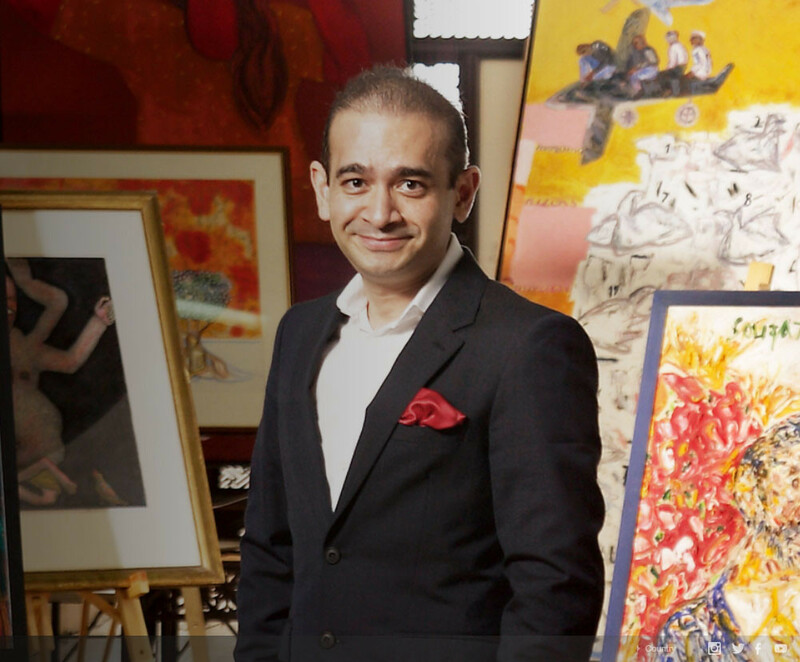 It’s hard not to notice that despite the disdain the pedigree stores have for Nirav Modi, they have tried hard to keep pace with Modi’s ambitious line of works. One thing’s for sure: they have felt threatened by his creations and his steady rise to fame. Perhaps, now, their job of edging Modi out of competition has become easier, with his business in tatters. The manager at Hueb said she has never checked out Modi’s collections, as she had not visited the store, nor seen it online. “They are newcomers, nice looking store, but I don’t know about their collections,” she said. She said she had not heard about the controversy about Modi, and expressed her surprise when told the allegations against Modi. “He’s really disappeared?! Wow! Why would he do that?” she asked. It’s a question a billion plus people in India too want to know. At Tiffany’s, a salesperson for 30 years said she’s heard of the Nirav Modi store, but then for them, their only real competition was Graff and Harry Winston, if at all, as nobody could match them in the variety and range of prices. “It’s a tough business,” she said, pointing out that it’s not just big companies who find the competition hard, but a lot of the smaller diamond jewelry companies are floundering in the US. 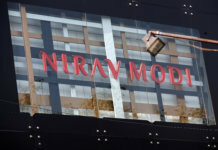 A News India Times reporter went on Monday to more than a dozen outlets in the Diamond District in New York City – home to what for some is affordable diamonds, but none of the store personnel there had heard of Nirav Modi or the controversy surrounding his business fortunes. Interestingly, Modi’s family had made their fortune in India selling diamonds to retail outlets like JCPenney. Last year, sales fell at three mall-based affordable jewelers: Zales, Jared and Kay, and despite the uptick in economy, the diamond jewelry business at the lower spectrum has fallen on tough times. The mystery behind Modi’s sudden disappearance, leaving movable assets in India worth almost a billion dollars, will unravel slowly. For now, his signature collection continues to do business, at least in the US.